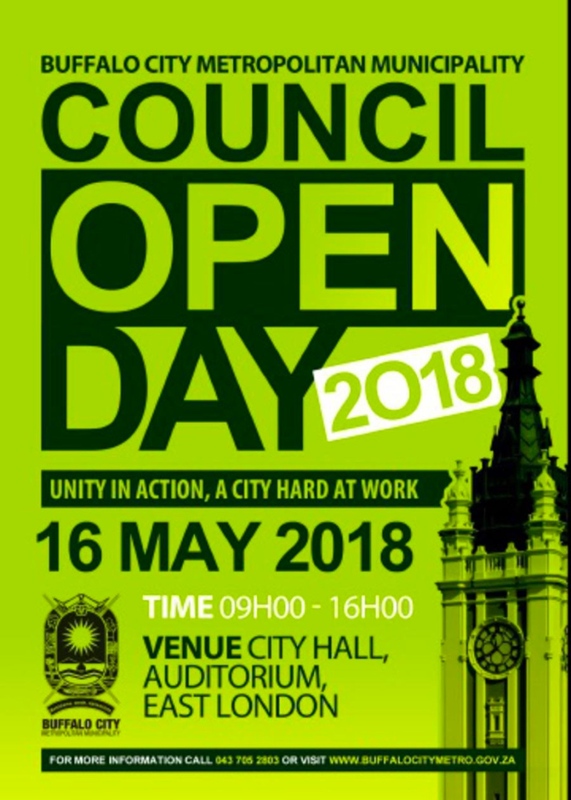 Following the successful road shows for the 2017/2018 draft Intergraded Development Plan (IDP) and Budget, the Metro will host 2018 Council Open Day on Wednesday 16 May at the East London City Hall. The purpose of the day is to present the outcomes of the IDP and Budget ward meetings as well as key issues raised by traditional leadership and the business fraternity before it is tabled in Council for adoption. A summary of the key issues raised during the ward meetings were roads, housing, water and sanitation, refuse removal, electrification, sports and recreation facilities as well as youth development programmes. Community members are invited to attend as they will be given an opportunity to raise queries that might have been left out during the roadshows to the City and also ask questions of clarity on how the budget will be allocated in the upcoming financial year. © 2019 Buffalo City Metropolitan Municipality.